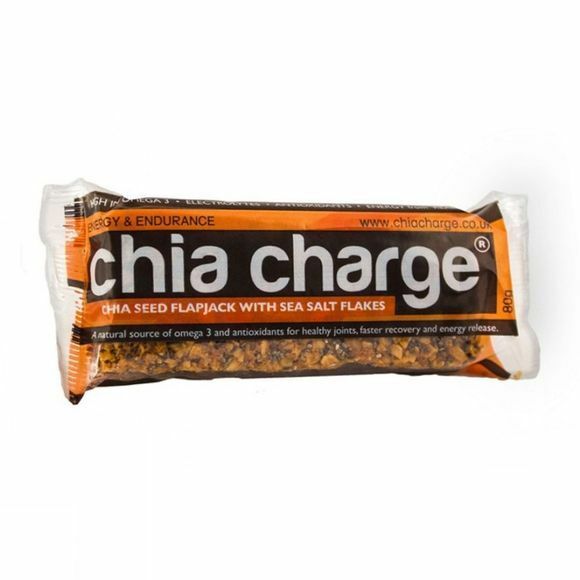 When pushing yourself to the limit, you can rely on the Chia Charge Flapjack Original to help you go beyond your targets. Made with natural ingredients for a great taste, easy digestion and long-term benefits for your body. Eat 30-90 minutes before exercise for optimum effects. Oats, butter, demerara sugar, golden syrup, chia seeds (9%), sea salt flakes.